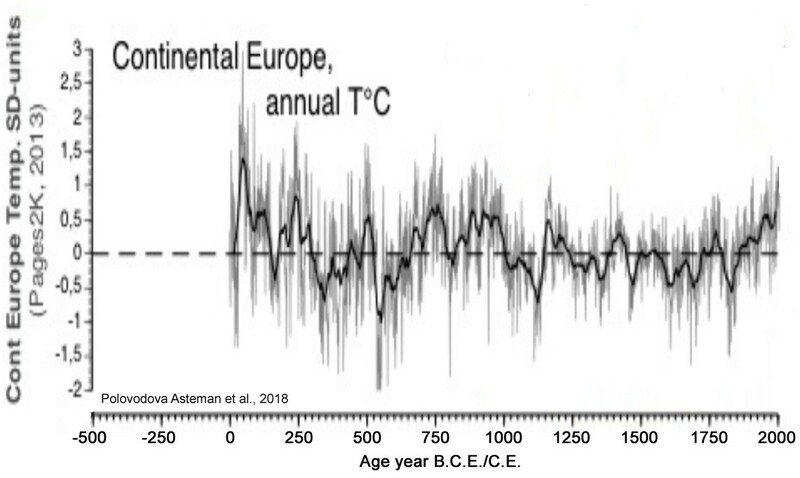 In the chart below from a study by Polovodova et al, we see that 20th century warming is perfectly normal in a long-term historical context. 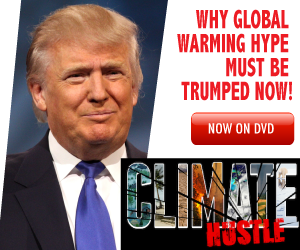 It was no warmer – indeed, is slightly cooler – than either the Roman Warm Period or the Medieval Warming Period. 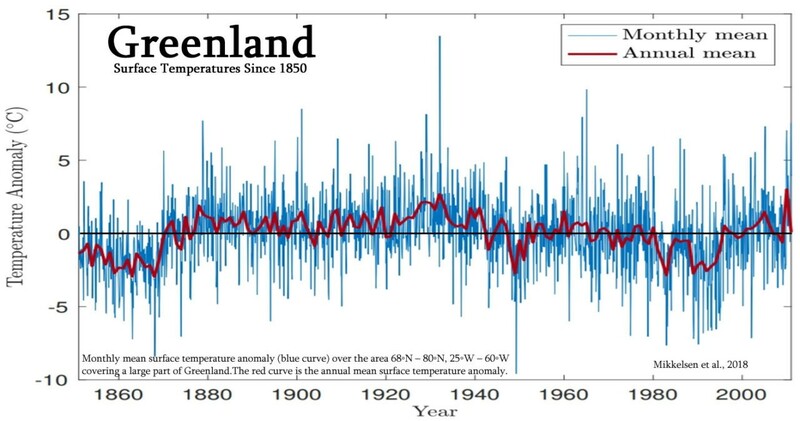 Furthermore, much to the surprise of global warming scientists, Greenland temperatures have again been falling since 2000. Westergaard-Nielsen et al., 2018examined the most recent and detailed trends based on MODIS (2001–2015) and concluded that if there is any general trend for Greenland it is “mostly cooling”.